Inicio[Masterclass] at City College of New York by spanish jazz guitarist Ximo Tebar. All instruments. Tue, May 22, 12pm. 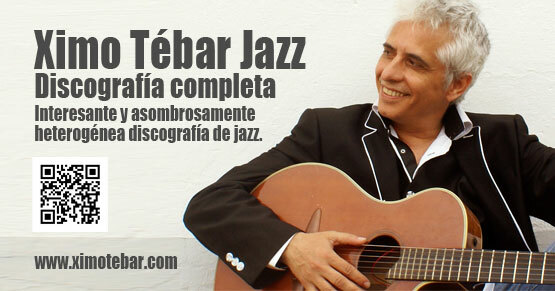 According to the virtuoso Spanish jazz guitarist Ximo Tebar “Jazz is pure rhythm, just like flamenco music”. He will be teaching a master class at Shepard Hall of City College of New York next Tuesday, May 22nd, at 12:00pm. In the master class, open to all instruments, Tebar will share his knowledge about playing within the “jazz claves.” Also, he will talk about the mastery of rests and micro-rests in the interpretation of jazz and other music styles, both for soloists and rhythm section. Ximo Tébar is “Marca España” [Spanish Brand], a tasty fusion influenced by the classics, art of methodical virtuosity and daring jazzistic innovation. More than three decades ago, jazz guitarist, composer and producer Ximo Tebar began to promote his own projects fusing jazz with Mediterranean music. The result of his extraordinary research work on the fusion of Mediterranean music with jazz has led him to be recognized as creator of “Son Mediterráneo”, a jazzy sound with Flamenco-Mediterranean flavor and fragrance. “Jazz with a sea flavor”. It’s been more than three decades since Ximo Tébar started directing his own groups. Since then, it has not ceased in the effort to star in a career that fits the evolution and endless illustrious companies. In them the organist of Philadelphia Lou Bennett is revealed as a fundamental pillar. Bennett introduced Ximo Tebar in France as a “new guitar talent”, and the French magazine Jazz Magazine highlighted him as “Le jazzman espagnol des annèes 90, un improvisateur de aute volèe”. And he was not wrong. 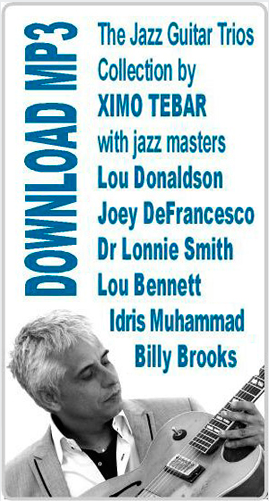 From models such as Wes Montgomery, George Benson, Pat Martino and Grant Green, Tébar has developed a style that, in addition to serving as a support for many different albums, has also allowed him to share experiences with great and historic jazz names such as: Lou Donaldson, Benny Golson, Johnny Griffin, Joe Lovano, Dave Samuels, Joey DeFrancesco, Dr. Lonnie Smith, Louie Bellson, Anthony Jackson, Tom Harrell, Idris Muhammad, Arturo O’Farrill, Dave Schnitter, etc. His music has been described as ‘Mare Nostrum jazz’, and, far from denying it, this Valencian guitarist has only confirmed the legitimacy of the label. Already in 1995 he released ‘Son mediterráneo’, with which he consolidated the pillars of his music. Tébar resides between Valencia and New York, and shares his tours, recordings, productions and master classes with the direction of his record label Omix Records. The musician is a counselor of the Consell Valencià de Cultura, the highest consultative cultural institution of Generalitat Valenciana Government.